Hello everyone! I wanted to quickly show you my new business cards that I recently got printed at Instant Print, as I’m over the moon with how they have turned out. 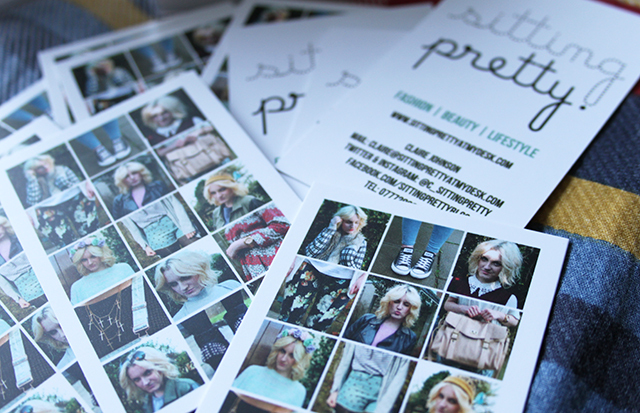 I had business cards made at the end of university, but they were more focused on my Styling work which I don’t do as much of anymore, and I really wanted to get some made that were solely for my blog. 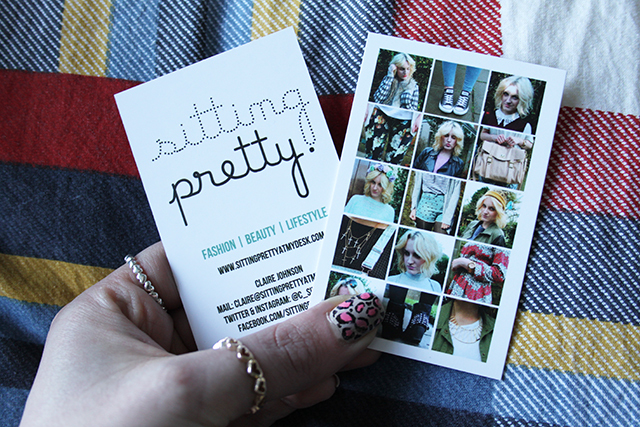 When people find out about my blog, I’ve always found it difficult to explain to them what it is I do, and although I do love my domain name, sittingprettyatmydesk.com is not only a bit of a mouthful, but a little hard to remember. Alas! This won’t be a problem any longer now that I’m keeping a stack of these lovely cards in my handbag at all times. I wanted a design that was simple but got the point across of what the blog is about, which is mainly personal style, hence the amount of photos of myself that I plastered over the back! I know it looks vain, but I love the layout and how the photos show all different elements of outfits, from the jewellery right down to the shoes. On the back, I wanted to keep things short and to the point, simply stating the blog name, web address and my contact details, which I think gives a really fresh, professional look. The whole design is complemented by the matt white card, which is really good quality compared to others I’ve seen and miles better than my previous cards from another printing company. I’m really impressed with the final result, and would definitely recommend checking out Instant Print if you’re thinking about getting some of your own cards made. They have some great deals depending on the quanities you order, and have plenty of options when it comes to design, quality and finish. 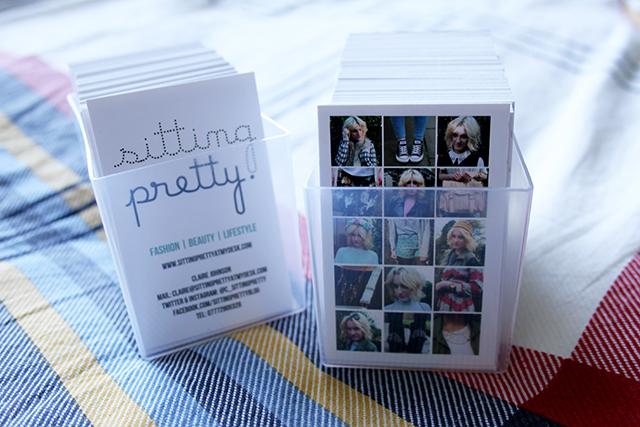 Thanks so much to Instant Print and Best British Bloggers for letting me design my own cards! What would you put on your business cards? Have you ever used Instant Print? "TOP TIPS FOR A GIRLS NIGHT IN"
Nice thinking. It is different from usual business card prints. I like the new idea.